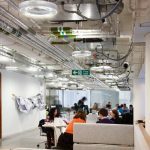 IRIS, the circular T5 luminaire from Spectral is the perfect complement to the stylish and quirky interior environment of The Hub in Westminster. 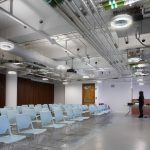 Almost 120 IRIS luminaires in a transparent finish have been installed in the various zones of The Hub, with the balanced up/downlight output ensuring an even, shadow-free light across all areas. The Hub network is a rapidly expanding global movement with 30 Hubs around the world. The network was born in 2004 in London. Hub Westminster is the latest and largest in the network. 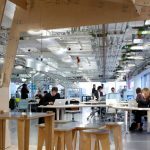 Covering 12,000 sq ft, it provides state of the art work space and meeting rooms, a forty person cafe lounge, a lecture theatre, innovation workshop space, collaboration booths all backed with a £3m social investment fund. 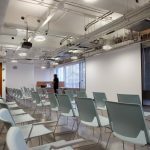 There are weekly events, seminars and lectures from leading business and innovation experts held for people working at the space. The Hub project is the brainchild of 00:/ a London-based strategy and design practice with a foundation in delivering award-winning architecture. 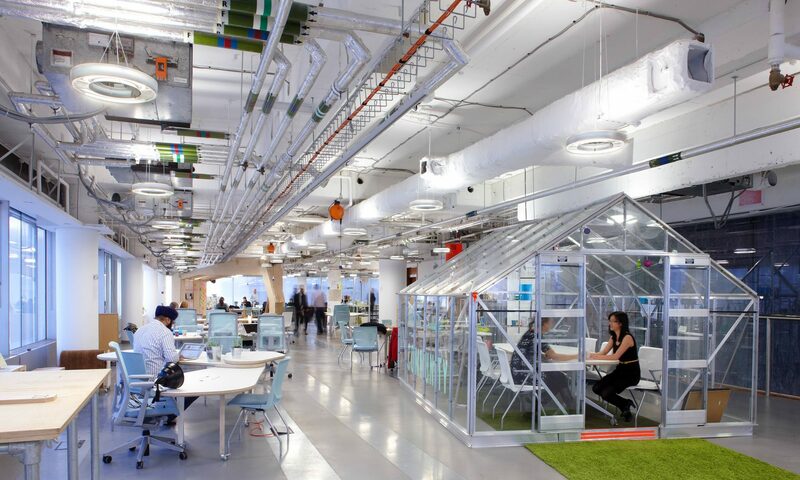 Hub Westminster is located on the South Bank in what was once traditional office space which has been stripped out and completely redesigned. All suspended ceilings have been removed and services exposed. The transparent finish IRIS reflects this look with all internal wiring and control gear on view. 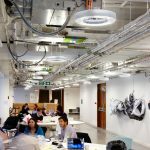 An additional feature on the suspended version of IRIS installed at Hub Westminster is the integrated suspension wires that double as supply cables eliminating the need to bring the live feed into the fitting itself. 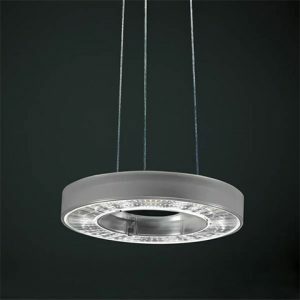 IRIS is comprised of an anodised aluminium housing, containing a low glare reeded micro-prism diffuser, wrapped in opaque, coloured or transparent clear acrylic case. It is available in a range of colours and can also be custom tailored to match any corporate identity. All versions feature a unique hollow centre which is possible by means of a bespoke circular circuit board that contains all the luminaire electronics. This can be visible as a feature or covered. 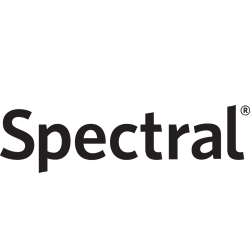 RIDI acquired Spectral, the prestigious German architectural lighting manufacturer in September 2010. Since then RIDI has expanded capacity at its Jungingen production facility to ensure continued investment and product development of the high-end Spectral brand products.